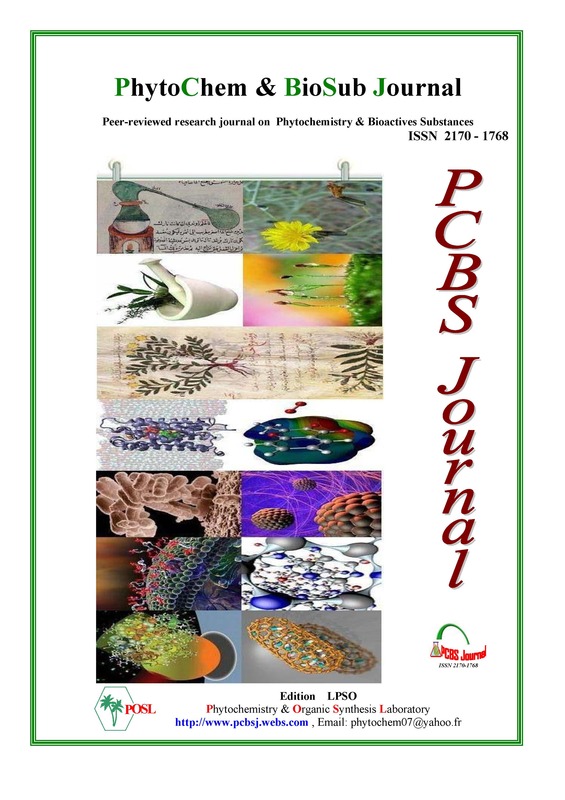 It is essential that manuscripts submitted to PCBS Journal are subject to rapid peer review and are not previously published or under consideration for publication in another journal. Contributions in all areas at the interface of Chemistry, Pharmacy, Medicine and Biology are welcomed. fr Chimie PhytoChem & BioSub Journal ?